No appointments needed. Open seven days a week. Urgent Care Plus services, available at this location, include treatment non-life-threatening illnesses and emergencies such as broken bones, lacerations, some infections, fever, abdominal pain and injuries or conditions requiring X-ray, CT scan or ultrasound services. Our pediatric urgent care is staffed by board-certified pediatricians and a specially trained nursing staff. With advanced laboratories and diagnostic imaging technology, there is no need to go from place to place to complete your care. If a higher level of care is needed, immediate transport is available. 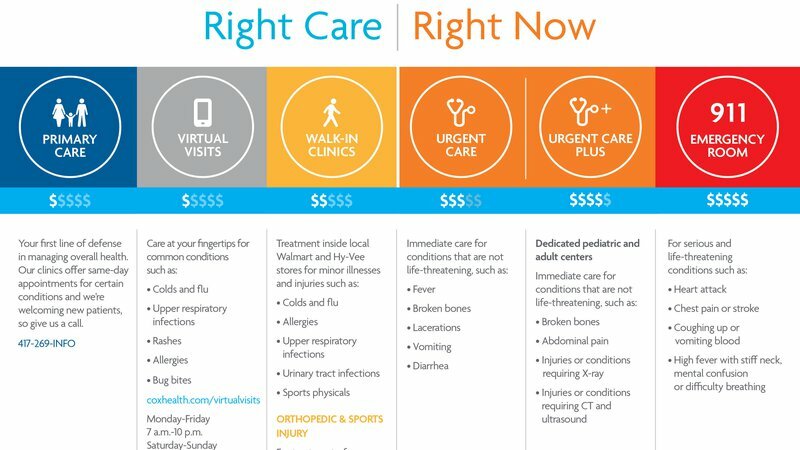 It's convenient care for sick or injured kids, when they need it most. Please note that all of our urgent care locations are equipped to care for children.